'Montmorency: Thief, Liar, Gentleman' The police have captured career criminal Montmorency. In the process he has been grievously wounded and it is up to a young surgeon to treat his wounds. During his recovery Montmorency learns of the city's new sewer system and sees in it the perfect underground highway for his thievery. It's 1875 in London. The police have captured career criminal Montmorency. In the process he has been grievously wounded and it is up to a young surgeon to treat his wounds. 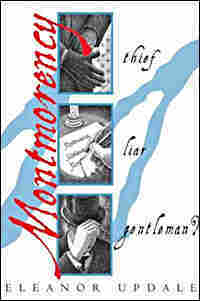 During his recovery Montmorency learns of the city's new sewer system and sees in it the perfect underground highway for his thievery. Washington Post columnist John Kelly recommends this title for middle schoolers, especially to be read aloud.